I love mushrooms. 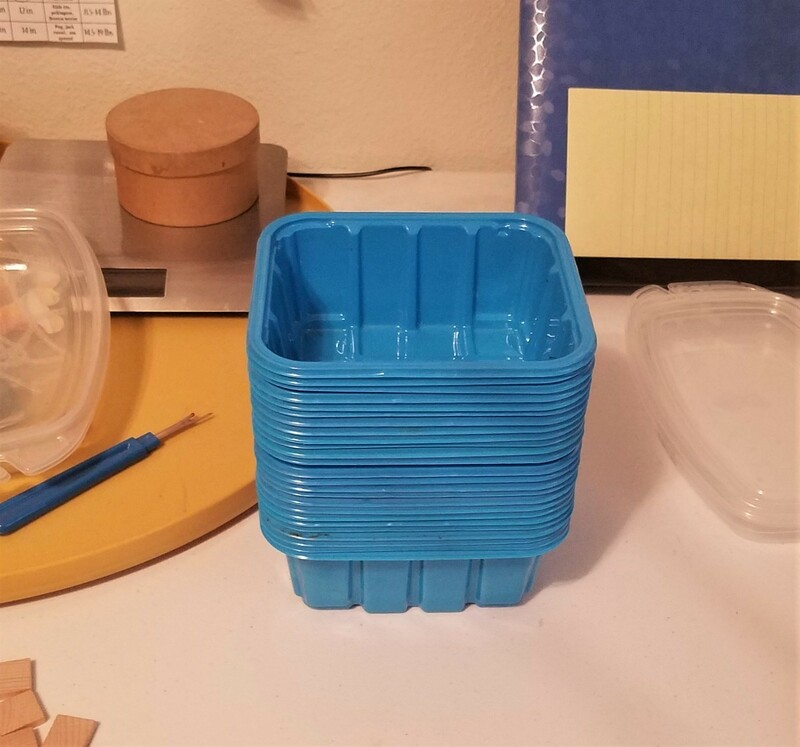 But almost the best thing about them are how versatile their containers are. Durable and cute, they make a chaotic kitchen, office, or craft room much better. I used them tonight for putting some things I have on limited counter/work table space, up off the surfaces. 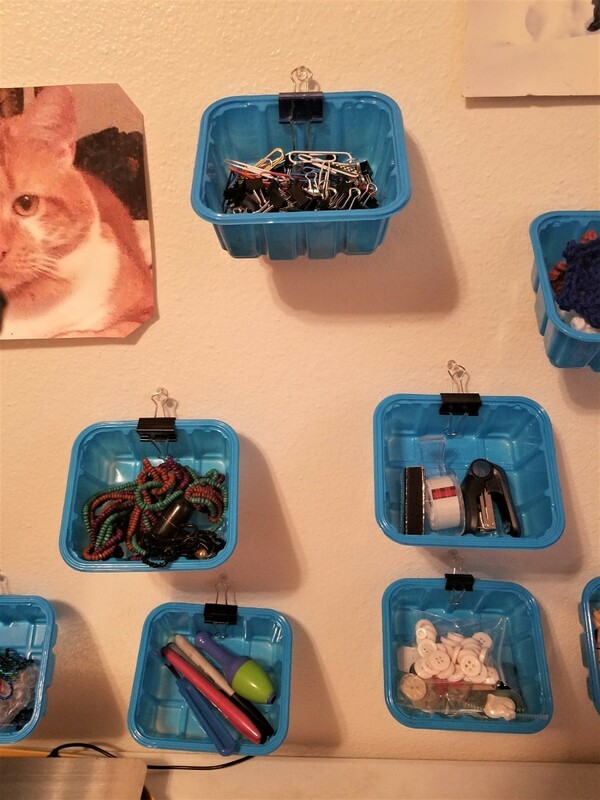 All you need is the tubs, binder clips, and pushpins. 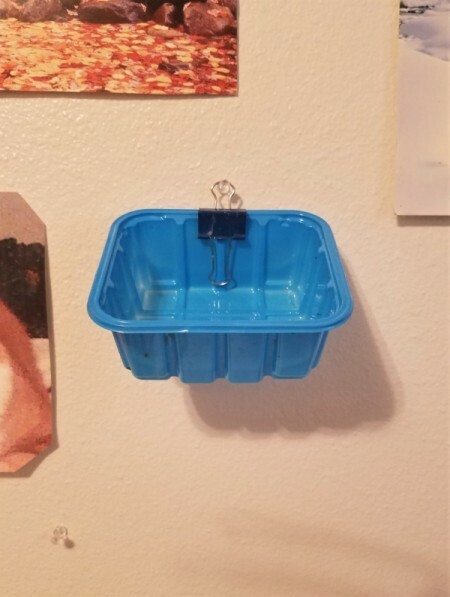 Put the pins where you want, hang the clip on the tub, putting the front tab down if you want. Then simply hang and fill them. I can vary where they go, depending on my needs for the project. You can put them all in a row close down and stack them and put them away if the project is big and you go onto the next one. 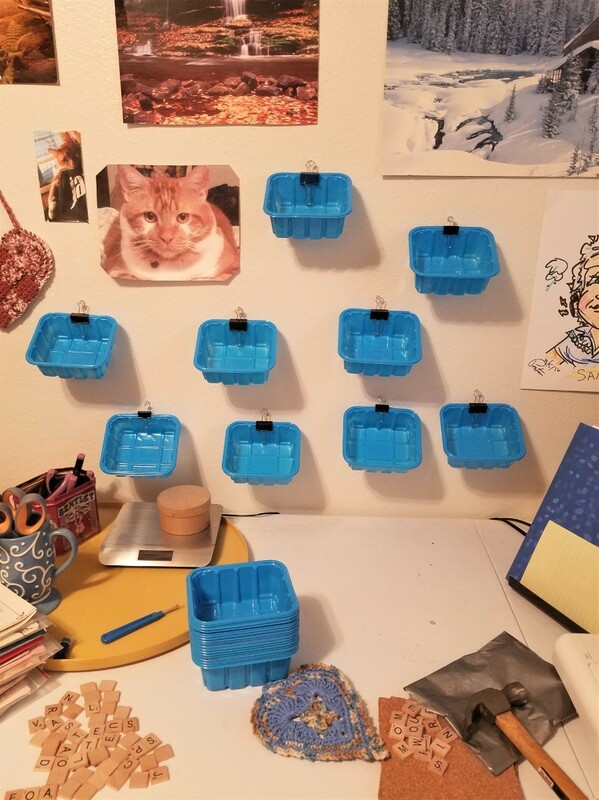 So cool to see a kindred soul who finds cool re-uses for those cute and sturdy little blue mushroom containers! 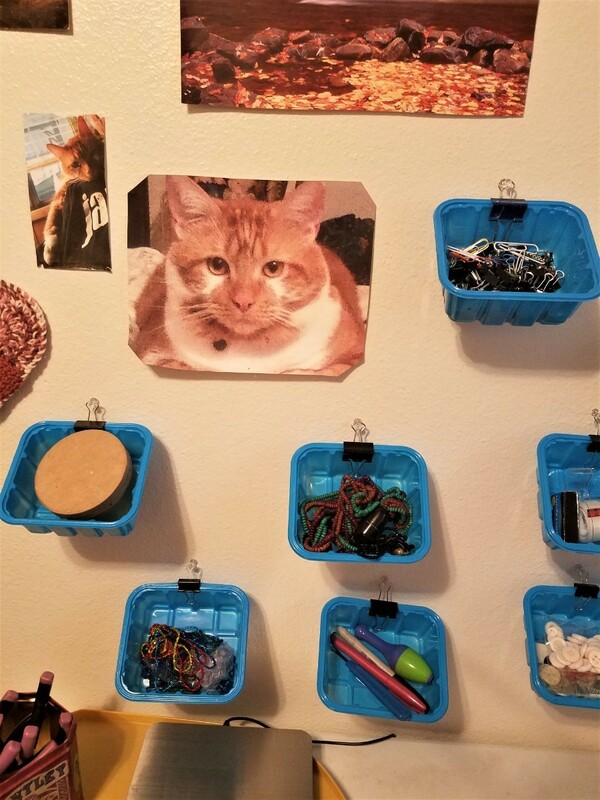 Your post has motivated me to pull out the extras and tackle some of my other messy spaces! Thanks for sharing! That is awesome and I am always happy to know I inspired someone!! Good ideas I just used a few a couple days ago to rinse out different colored paint brushes. Of course I rinsed them out for future use. Very durable!